A Demand Center is the embodiment of marketing operations, integrating demand generation programs and technological dependencies into responsive, adaptable processes that smooth the way for effective marketing delivery. Companies invest in the creation of a demand center function to enable agile global program delivery and management without additional budgets and resources. We've created a technology platform that enables demand center production, marketing operations and field marketing teams to align upon a common infrastructure to maximise the effectiveness and production efficiency of campaign build, testing and approvals. 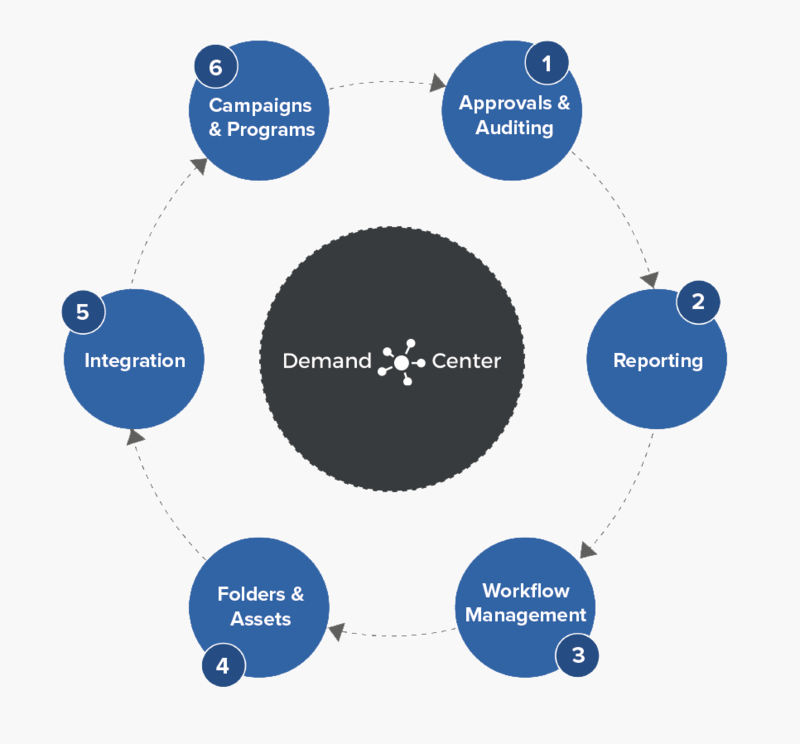 Introducing Demand.Center - aligning central and field marketing together with marketing operations through a single platform that increases quality, efficiency and governance while decreasing campaign lead times and costs. Deliver agile demand creation programs globally. Drive efficiency and maximize speed-to-market. Balance local agility and market knowledge with centralized control and governance. Reduce campaign assembly costs and encourage continuous improvement. The workflow engine is at the heart of the product. For example, for the campaign request management, the workflow engine takes what is typically managed with a spreadsheet or word document and digitally formalises the process. For Approvals, it manages the hierarchy by which approvals are made. Want to see Demand.Center in action? "This tool is a complete game changer as a compliment to marketing automation tools like Oracle Marketing Cloud and Marketo!" Boost your Sales and Marketing performance by downloading your free eGuide today. Successful development of a Demand Center, enables you to react to rapidly changing buyer behaviour and bring agility to your Marketing & Sales organisations. 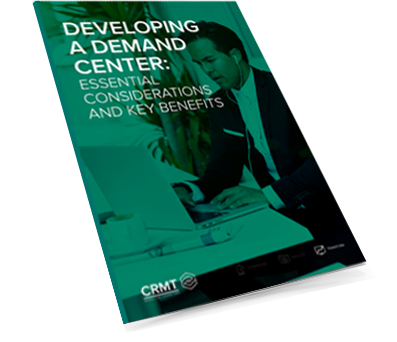 Find out how to build your Demand Center now.